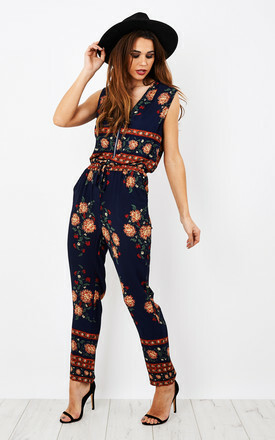 Get ready for spring with this navy bohemian style floral jumpsuit. 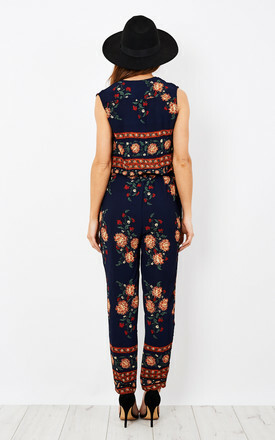 This style is very figure flattering and cinches you in at the waist with a tie around the waist. 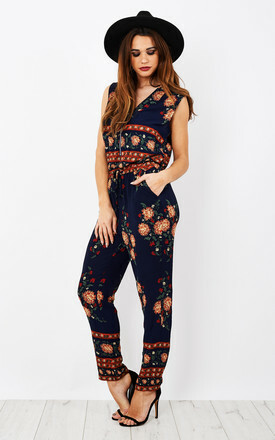 Pair with some barely there heels to complete the look.